TLJ News: November 26-30, 2012. 11/30. The House passed HR 6429 [LOC | WW | PDF], the "STEM Jobs Act of 2012", by a vote of 245-139. See, Roll Call No. 613. Republicans voted 218-5. Democrats voted 27-134. The Senate has not yet passed this bill, and is not likely to do so. President Obama announced his opposition on November 28. See, story titled "Obama Opposes STEM Visas Bill" in TLJ Daily E-Mail Alert No. 2,478, November 29, 2012. During floor debate, opponents offered little criticism of the STEM visas proposal. Rather, they focused their comments on the bill's provision that would eliminate another visa program that issues visas by lottery. Rep. Eric Cantor (R-VA), the House Majority Leader, stated that "getting our economy moving again needs to be our top priority, but jobs will not take off until American businesses have the workers they need to drive innovation and growth." Rep. Cantor (at right) said that "The immigrants who come to this country for school and for work have always been key players in driving our Nation's economy. Unfortunately, current immigration policies are preventing American businesses from hiring foreign students who earn advanced degrees in science, technology, engineering, and math from our best universities." "From growing startups to U.S. multinationals, American employers are desperate for qualified STEM workers, no matter where they're from. Microsoft, for example, has over 6,000 job openings waiting to be filled by scientists, researchers, engineers, and developers. For now, these openings and many others will remain vacant because too few American students are graduating with STEM degrees, and foreign STEM graduates can't get the visas they need. Every year, the U.S. invests in educating thousands of foreign students in STEM fields at our top universities only to send them back to compete against us." Rep. Darrell Issa (R-CA) stated in the House that "For more than 2 years, the national campaigns have talked in terms of jobs. STEM means jobs ... For each person we welcome to America with one of these high degrees, we create jobs, net jobs. We create opportunity for expansion of the kinds of businesses that, in fact, Americans are prepared to work in, but often we do not have enough engineers, scientists, or math professionals. This shortage, particularly at the masters and doctorate level, is well documented." Rep. Jeff Flake (R-AZ) stated that "65 percent of Ph.D. graduates in the STEM fields actually are foreign born. They come, are educated here, and then return home or return somewhere else to compete against us. We ought to be rolling out the red carpet for them to stay." Rep. Zoe Lofgren (D-CA) (at right) stated that "There's no question that a STEM green card program is the right thing to do for our country", but "I can't support a bill that pits immigrant communities against each other". It would "eliminate the Diversity Visa program". Rep. John Conyers (D-MI) stated that "the same poison pill that defeated this bill on suspension is now being brought up again with the same poison pill that pits immigrant and minority communities against one another and makes the legislation, therefore, unworkable. Rather than simply creating green cards for STEM graduates, the majority insists that we must pay for the new visas by completely eliminating Diversity Visas, a longstanding legal immigration program. The elimination of the Diversity Visa program will drastically reduce immigration from African nations because immigrants from Africa normally comprise half the Diversity Visa program's annual beneficiaries." Rep. Luis Guitierrez (D-Il) stated that "when we have the real immigration debate, the debate that will result in the signature of the President," it will start in January of 2013 with the 113th Congress. 11/30. FCC Commissioner Ajit Pai, who is the son of immigrants from India, commented on House passage of HR 6429 [LOC | WW | PDF], the "STEM Jobs Act of 2012", on Friday, November 30, 2012. 11/30. The Federal Communications Commission (FCC) adopted, but did not release, a Fifth Order on Reconsideration and Sixth Report and Order regarding approval of pending FM translator radio applications and implementation of the Local Community Radio Act (LCRA). The FCC issued only a short release, and the five Commissioners wrote statements. Rep. Lee Terry (R-NE) and Rep. Mike Doyle (D-PA) also spoke at the event. See, Rep. Terry's release. They were sponsors of the LCRA, HR 6533 [LOC | WW], which was enacted late in the lame duck session of the 111th Congress. See, stories titled "Congress Passes Low Power FM Bill" and "Summary of HR 6533, the Community Radio Act of 2010", in TLJ Daily E-Mail Alert No. 2,183, December 19, 2010. There is a long and tempestuous history to policy making in this area. See, "History of LPFM Law and Policy Making" also in TLJ Daily E-Mail Alert No. 2,183. Commissioner Robert McDowell wrote in his statement that "My hope is that we have finally forged a workable compromise that will allow for the licensing and successful operation of both translators and LPFM stations to benefit all Americans." Commissioner Mignon Clyburn wrote in her statement that "we will greatly increase the number of LPFM stations to augment the airwaves through a process that waives the second-adjacent channel spacing requirement. What this means is that in major urban markets, space will be freed up for LPFM stations and they will soon achieve a share of the dial previously dominated mainly by larger, national entities. Through this Order, we take a resource that has been indispensable in rural communities and bring it into major metropolitan areas." Dennis Wharton of the National Association of Broadcasters (NAB) stated in a release that "We support faithful implementation of LCRA and look forward to working with the Commission and the LPFM community in the future." This item is FCC 12-144 in MM Docket No. 99-25. 11/30. Rep. Lamar Smith (R-TX) introduced HR 6621 [LOC | WW], an untitled bill that would make 15 changes to the "Leahy Smith America Invents Act" and the Patent Act. The AIA, HR 1249 [ LOC | WW], was enacted earlier in this Congress. President Obama signed it into law on September 16, 2011. It is now Public Law No. 112-29. Rep. Smith's bill consists of one section, titled "Technical Corrections". While some provisions are technical corrections, some would make substantive changes to patent law. There have been no hearings and no committee mark ups in either the House or Senate on the contents of this bill. In fact, no version of this bill has yet been introduced in the Senate. There are only a few weeks left in 112th Congress. Rep. Smith's (at right) goal may be to bring up this bill under on the suspension calendar in the House, and hope for quick approval in the Senate by unanimous consent. Alternatively, he may seek to attach the language of this bill to a fiscal cliff package. Or, he may merely have introduced this bill to begin a process that he expects to continue in the 113th Congress. If this is the case, then this bill is in effect a discussion draft. Subsection (d) addresses the post grant dead zone issue. Subsection (h) addresses patent term adjustments. Subsection (i) would repeal 35 U.S.C. § 373, regarding improper applicants for international PCT applications at the USPTO. Subsection (j) addresses allocation of user fees. It would amend 35 U.S.C. § 42(c)(3). Subsection (m) pertains to pre GATT patent applications. This section might have the effect of eliminating many of the several hundred of these pre June 7, 1995 applications. What is not in this bill might also be noteworthy. This bill does not include the substantive language of S 3652 [LOC | WW], the "Patents for Humanity Program Improvement Act of 2012", introduced by Sen. Patrick Leahy (D-VT) on December 4, 2012. See, related story in this issued titled "Sen. Leahy Introduces a Bill to Make USPTO Acceleration Certificates Alienable". This bill does not include the substantive language of S 3486 [LOC | WW], the "Patent Law Treaties Implementation Act". The Senate passed this bill on September 22. The House passed this bill on December 5, a week after Rep. Smith introduced his bill. S 3486 is now ready for President Obama's signature. Also, this bill does not include the substantive language of HR 6245 [LOC | WW | TLJ], the "Saving High-tech Innovators from Egregious Legal Disputes", or "SHIELD Act", introduced on August 1 by Rep. Peter DeFazio (D-OR) and Rep. Jason Chaffetz (R-UT). See, story titled "SHIELD Act Would Allow Court to Award Costs and Attorneys Fees to Prevailing Parties in IT Patent Cases" in TLJ Daily E-Mail Alert No. 2,420, August 4, 2012. Rep. Smith's bill has no cosponsors. It was referred to the House Judiciary Committee (HJC). Rep. Smith is the Chairman. However, his term as Chairman will end in a few weeks with the close of the 112th Congress. He will become Chairman of the House Science Committee (HSC) in the 113th Congress. 11/30. The U.S. Court of Appeals (2ndCir) heard expedited oral arguments in WNET v. Aereo, a copyright infringement case involving the Aereo online service. Plaintiffs alleged that Aereo offers an unlicensed subscription service that streams television programming over the internet to paying subscribers' computers, smart phones and tablets in violation of the broadcaster's exclusive rights of copyright (pubic performance right and reproduction right). ABC and other broadcasters filed a second complaint (alleging violation of reproduction, distribution, and public performance rights) against Aereo on March 12. The key issue is the public performance right. While the public performance right is not important for many types of works subject to copyright, it is critical for the holders of entertainment video programming. 17 U.S.C. § 106 sets forth the exclusive rights of copyright. Subsection 106(4) provides that a copyright owner has the exclusive right "to perform the copyrighted work publicly". 17 U.S.C. § 101 provides pertinent definitions, written before development of the IT based technologies at issue in this and other recent cases. The term "perform" means "to recite, render, play, dance, or act it, either directly or by means of any device or process". The term "publicly" means to "to perform ... it at a place open to the public or at any place where a substantial number of persons outside of a normal circle of family and its social acquaintances is gathered" or "to transmit or otherwise communicate a performance ... of the work to a place" specified by the previous clause, "or to the pubic, by means of any device or process, whether the members of the public capable of receiving the performance ... receive it in the same place or in separate places and at the same time or at different times". The District Court issued an opinion [PDF] on July 11 denying the plaintiffs' motion for a preliminary injunction on the public performance right claim. The District Court relied on the 2nd Circuit's 2008 opinion in Cartoon Network v. CSC Holdings, 536 F.3d 121. See, story titled "2nd Circuit Reverses in Remote Storage DVR Copyright Case" in TLJ Daily E-Mail Alert No. 1,806, August 5, 2008. That opinion is also sometimes referred to as the "Cablevision" opinion, because the defendant, Cablevision Systems Corporation (CSC), provided the Remote Storage Digital Video Recorder (RS-DVR) system at issue in that case. The Court of Appeals held that that DVR service does not infringe the rightholders' (Cartoon Network and others) exclusive rights of reproduction and public performance. Broadcasters brought the present appeal. The 2nd Circuit ordered expedited briefing and oral argument. Broadcasters argue that reliance upon the Cablevision opinion is misplaced, that the Aereo service provides public performance, and that it violates their exclusive rights to provide public performances. Aereo urges reliance upon the Cablevision opinion, and affirmance of the District Court. The Computer & Communications Industry Association (CCIA) and the Internet Association filed an amicus curiae brief in support of Aereo. Although, their interest lies more with providers of cloud computing services, such as personal music lockers, and in not restricting the application of the Cablevision opinion. The Electronic Frontier Foundation (EFF), Public Knowledge (PK) and Consumer Electronics Association (CEA) filed a amicus curiae brief in support of Aereo. They argued that "there is much more at stake in this litigation than the continued operation of one company. The underlying issue raised here is whether copyright holders can be permitted to reach beyond their statutory rights to prohibit follow-on innovation, and to regulate personal, everyday uses of free television broadcasts. This issue is of profound importance to the public. If Plaintiffs' arguments are accepted, the carefully crafted balance embodied in the Copyright Act could be upended, to the detriment of the public interest. David Post (Temple University law school) and a group of other law school professors also filed an amicus curiae brief in support of Aereo. This case is CBS Broadcasting, Inc., et al. v. Aereo, Inc., and Fox Television Stations, Inc., et al. v. Aereo, Inc., U.S. Court of Appeals for the 2nd Circuit, App. Ct. Nos. 12-2808 and 12-2786. 11/30. The Federal Trade Commission (FTC) released a notice [14 pages in PDF], to be published in the Federal Register, that announces, describes, recites, sets the effective date for, and sets the deadline to submit comments on, its new rule implementing the identity theft red flag provisions of Section 615 of the Fair Credit Reporting Act (FCRA), which is codified at 15 U.S.C. 1681m(e). The FTC and other agencies promulgated red flag rules in 2007. They defined covered creditors more broadly than many members of the Congress thought appropriate. Hence, the 111th Congress enacted S 3987 [LOC | WW, the "Red Flag Program Clarification Act of 2010", to narrow the definition of creditor. The new rule provides that "Creditor has the same meaning as in 15 U.S.C. 1681m(e)(4)." That is, the FTC now conforms its rules to the statute. In this notice the FTC applies the oxymoronic label, "interim final", to this rule. Comments are due by February 11, 2013. This rule takes effect on February 11, 2013. 11/30. Rep. Lamar Smith (R-TX) introduced HR 6621 [LOC | WW], an untitled bill that would make 15 changes, some of which are minor and technical, to the "Leahy Smith America Invents Act" and the Patent Act. That Act was HR 1249 [ LOC | WW]. President Obama signed it into law on September 16, 2011. It is now Public Law No. 112-29. The just introduced bill was referred to the House Judiciary Committee (HJC). 11/30. Rep. Bobby Rush (D-IL) introduced HR 6624 [ LOC | WW], the "Family Telephone Connection Protection Act of 2012". This bill would require the Federal Communications Commission (FCC) to write rules that "ensure that charges for inmate telephone service are just, reasonable, and nondiscriminatory". It was referred to the House Commerce Committee (HCC). Rep. Rush is a member. 11/30. The House is scheduled to consider S 3486 [LOC | WW], the "Patent Law Treaties Implementation Act", under suspension of the rules, during the week of December 3, 2012. Sen. Patrick Leahy (D-VT) and Sen. Charles Grassley (R-IA) introduced this bill on August 2. It would implement two patent law treaties, the "Hague Agreement Concerning International Registration of Industrial Designs", concluded in 1999, and the "Patent Law Treaty", concluded in 2000, which the Senate ratified in 2007. The Senate Judiciary Committee (SJC) amended and approved this bill on September 20. See, story titled "Senate Judiciary Committee Approves Patent Law Treaties Implementation Act" in TLJ Daily E-Mail Alert No. 2,452, September 20, 2012. The full Senate passed it by voice vote on September 21. 11/30. The Office of the U.S. Trade Representative (OUSTR) announced in a release that USTR Ron Kirk met with Ukrainian Foreign Minister Konstyantyn Gryshchenko. This release states that "Kirk expressed strong U.S. concern about Ukraine's request to alter tariff bindings on more than 350 products that it agreed to when it joined the" World Trade Organization (WTO). See also, Kirk's letter of November 8, 2012 to the Ukraine. And see, November 27 joint statement of the US, Japan, EU, Korea, Canada, Australia, Hong Kong China, and 16 other nations. It states that the Ukraine's actions are protectionist. 11/30. Karel De Gucht, the European Commissioner for Trade, gave a speech in Hamburg, Germany, titled "EU - China: A New Growth Equation". 11/30. Yahoo announced in a release that "the 49th Civil Court of the Federal District of Mexico City has entered a non-final judgment of U.S. $2.7 billion against Yahoo! Inc. and Yahoo de Mexico, S.A. de C.V. in a lawsuit brought by plaintiffs Worldwide Directories S.A. de C.V. and Ideas Interactivas, S.A. de C.V. Yahoo! believes the plaintiffs' claims are without merit and will vigorously pursue all appeals. The plaintiffs alleged claims of breach of contract, breach of promise, and lost profits arising from contracts related to a yellow pages listings service." 11/30. The Federal Communications Commission (FCC) released a redacted copy [19 pages in PDF] of a Notice of Apparent Liability for Forfeiture that fines Telseven, LLC, Calling 10, LLC, and Patrick Hines $1,680,000 for deceptive marketing and cramming. 11/30. The Copyright Office (CO) published a notice in the Federal Register (FR) that extends the deadlines to submit initial and reply comments in response to its notice of inquiry (NOI) titled "Orphan Works and Mass Digitization". The CO extended the deadline for initial comments from January 4, 2013 to February 4. The CO extended the deadline to submit reply comments from February 4 to March 4. See, original notice in the FR, Vol. 77, No. 204, October 22, 2012, at Pages 64555-64561. See also, story titled "Copyright Office Issues Notice of Inquiry on Orphan Works" in TLJ Daily E-Mail Alert No. 2,468, November 2, 2012. And see, extension notice in the FR, Vol. 77, No. 231, November 30, 2012 at Page 71452. 11/29. The Chairmen and ranking members of House Ways and Means Committee (HWMC) and Senate Finance Committee (SFC) sent a letter to U.S. Trade Representative Ron Kirk regarding the People's Republic of China (PRC). The four wrote that "We are concerned that China continues to move away from market-based reforms and is more deeply embracing an economic model dominated by state-owned enterprises (SOEs), World Trade Organization (WTO)-inconsistent subsidies, and economic protectionism." Sen. Max Baucus (D-MT) (at right), Chairman of the SFC, Sen. Orrin Hatch (R-UT), Rep. Dave Camp (R-MI), and Rep. Sander Levin (D-MI) signed the letter. They continued that "China's state capitalist model presents a range of issues that impact the future prosperity of the United States and the economic stability of the world. As China undertakes its leadership transition, the United States must utilize every opportunity to address China’s barriers to U.S. trade and investment and encourage China’s efforts to rebalance its economy." They wrote about numerous issues, including the PRC's record on intellectual property. They wrote that "China fails to effectively enforce intellectual property rights (IPR) and has not put in place proper institutional arrangements to show a serious commitment to protecting IPR. Forced technology localization continues to rise as U.S. companies are forced to forfeit their IPR to do business in China." They added that "Next month's meeting of the U.S.-China Joint Commission on Commerce and Trade (JCCT) will provide a valuable opportunity to redouble efforts, and we will be paying close attention to the outcomes." The JCCT is a periodic series of meetings between senior US and PRC officials regarding trade and economic issues. There are reasons to expect that the December JCCT meeting will not be productive. The PRC only just selected new leadership. The U.S. Department of Commerce (DOC) has only an acting Secretary of Commerce, Rebecca Blank. USTR Ron Kirk is reputed to be about to leave his post. And, the Obama administration has just completed a long election campaign in which both candidates resorted to heated public criticism of the PRC. 11/29. The U.S. Court of Appeals (6thCir) issued its opinion [28 pages in PDF] in American Beverage Association v. Michigan, a dormant commerce clause case. This case involves state regulation of beverage containers, not e-commerce. However, the Court's analysis of the dormant commerce clause and extraterritorial effects of state regulation might be applied in future cases involving state regulation of e-commerce. The dormant commerce clause is sometimes invoked to protect electronic commerce from states that either seek to favor in state brick and mortar businesses at the expense of out of state online competitors, and states that impose regulatory regimes that affect both in state and out state activity. This case pertains to the latter -- extraterritorial regulation. Article I, Section 8, of the Constitution provides that "The Congress shall have Power ... to regulate Commerce with foreign Nations, and among the several States ..." The dormant commerce clause is the judicial concept that the Constitution, by delegating certain authority to the Congress to regulate commerce, thereby bars the states from legislating on certain matters that affect interstate commerce, even in the absence of Congressional legislation. It is applied to block states from regulating in a way that materially burdens or discriminates against interstate commerce. See, Gibbons v. Ogden, 22 U.S. 1 (1824), and Cooley v. Board of Wardens, 53 U.S. 299 (1851). More recent treatments of the concept include Healy v. The Beer Institute, 491 U.S. 324 (1989), and CTS Corp. v. Dynamics Corp. of America, 481 U.S. 69 (1987). The Court of Appeals considered, but distinguished, the Supreme Court's 2005 opinion Granholm v. Heald, 544 U.S. 460. That case involved Michigan's regulation of internet wine sales. See, story titled "Supreme Court Rules in Internet Wine Sales Case" in TLJ Daily E-Mail Alert No. 1,137, May 17, 2005. Helgi Walker of the law firm of Wiley Rein, who previously worked at the Federal Communications Commission (FCC), and now represents communications and technology companies, argued the case for amicus curiae Washington Legal Foundation (WLF). See also, WLF brief. Walker also represented Comcast in its successful challenge to the FCC's 2008 Comcast order. She is now representing Verizon in its pending challenge to the FCC's 2010 rules that regulate broadband internet access service (BIAS) providers. In the present case, the state of Michigan regulated, and criminalized, business practices of beverage retailers. The District Court upheld the statute. Court of Appeals reversed. This case is American Beverage Association v. Rick Snyder, et al., U.S. Court of Appeals for the 6th Circuit, App. Ct. No. 11-2097, an appeal from the U.S. District Court for the Western District of Michigan at Grand Rapids, D.C. No. 1:11-cv-195, Judge Gordon Quist presiding. Judge Clay wrote the opinion of the three judge panel. Judges Sutton and Rice both wrote concurring opinions. 11/29. The Senate Judiciary Committee (SJC) held an executive business meeting at which it amended and approved HR 2471 [LOC | WW | HTML], an untitled bill that would require a warrant for accessing cloud stored e-mail, and that would make it easier for social media users to disclose their video viewing. 11/29. The Senate Judiciary Committee (SJC) held an executive business meeting at which it held over consideration of the nominations of Katherine Failla (USDC/SDNY), Troy Nunley (USDC/EDCal), Sheri Chappell (USDC/MDFl), Pamela Ki Mai Chen (USDC/EDNY), and Mark Barnett (U.S. Court of International Trade). All five are again on the agenda for the SJC's December 6 executive business meeting. 11/29. Five Republican's have been assigned to the House Commerce Committee (HCC). They are Rep. Gus Bilirakis (R-FL), Rep. Renee Ellmers (R-NC), Rep. Ralph Hall (R-TX), Rep. Bill Johnson (R-OH), and Rep. Billy Long (R-MO). Rep. Hall is a former long time member of the HCC who has been serving as Chairman of the House Science Committee (HSC). Rep. Bilirakis' father served on the HCC. Rep. Ellmers is a former nurse whose focus is on health care issues. Rep. Johnson is a former Air Force officer and IT company executive. Rep. Long is a former talk show host on terrestrial broadcast radio. See, HCC release. 11/29. The European Commission (EC) announced in a release the commencement of negotiations for a free trade agreement (FTA) between the European Union and Japan. There is no US Japan FTA, or FTA negotiation. 11/29. The Government Accountability Office (GAO) released a report [15 pages in PDF] titled "Identity Theft: Total Extent of Refund Fraud Using Stolen Identities is Unknown". Statement." The effective date of these changes is January 14, 2013. See, FR, Vol. 77, No. 230, November 29, 2012, at Pages 71101-71104. Subsection 115(a) provides in part that "When phonorecords of a nondramatic musical work have been distributed to the public in the United States under the authority of the copyright owner, any other person, including those who make phonorecords or digital phonorecord deliveries, may, by complying with the provisions of this section, obtain a compulsory license to make and distribute phonorecords of the work. A person may obtain a compulsory license only if his or her primary purpose in making phonorecords is to distribute them to the public for private use, including by means of a digital phonorecord delivery." Subsection 115(b) addresses notices of intention to obtain compulsory licenses. Subsection 115(c) addresses royalties. 11/29. The Securities and Exchange Commission (SEC) filed a civil complaint in the U.S. District Court (SDNY) against Thomas C. Conradt and David J. Weishaus alleging violation of federal securities laws (10b5 fraud -- insider trading) in connection with stock trading in advance of IBM's acquisition of SPSS in 2009. See, SEC release. This case is SEC v. Conradt and Weishaus, U.S. District Court for the Southern District of New York, D.C. No. 12 CIV 8676. 11/29. The U.S.-China Economic and Security Review Commission released a paper titled "Patterns in U.S.-China Trade Since China's Accession to the World Trade Organization". The author is the Commission's Joseph Casey. 11/28. President Obama's Office of Managment and Budget (OMB) released a statement on November 28 opposing HR 6429 [LOC | WW | PDF], the "STEM Jobs Act of 2012". It states that "the Administration opposes House passage of H.R. 6429". The OMB statement is inconsistent with President Obama's prior statements. The House Rules Committee (HRC) adopted a rule for consideration of HR 6429 on Wednesday afternoon, November 28. The full House is likely to approve this rule on Thursday, and the bill on Friday. This bill, which is supported by many large US technology companies, would create a new visa program that would provide up to 55,000 visas per year to aliens with Ph.D.s, and then Masters degrees, from U.S. universities, in math, science, engineering or technology (STEM) fields. It would also eliminate a comparably sized lottery visa program which is supported by many House Democrats and President Obama. That program does nothing to increase US economic competitiveness. President Obama, Mitt Romney, and others have long given speeches advocating STEM visa programs, sometimes employing metaphors such as stapling green cards to diplomas. The HRC adopted a closed rule that makes in order only a manager's amendment [3 pages in PDF] offered by Rep. Lamar Smith (R-TX), Chairman of the House Judiciary Committee (HJC) and sponsor of the bill. The HRC did not make in order any amendment that would delete the provision in the bill that would terminate the lottery visa program. The HRC did not make in order an amendment offered by Rep. Zoe Lofgren (D-CA) that would substitute the body of her bill, HR 6412 [LOC | WW], the "Attracting the Best and Brightest Act of 2012". See, story titled "Rep. Lofgren Introduces Alternative STEM Visa Bill" in TLJ Daily E-Mail Alert No. 2,448, September 14, 2012. Rep. Lofgren proposes a similar STEM visa program. However, she also proposes to keep the lottery visa program. The HRC did not make in order an amendment offered by Rep. Jared Polis (D-CO) that would add a section titled "American Entrepreneurship and Investment Act of 2012" that pertains to EB-5 visas. The bill is likely to pass with overwhelming support from House Republicans, and some support from House Democrats. The House rejected a very similar version of this same bill on September 20. That bill received a simple majority, but was considered under suspension of the rules, which requires a two thirds majority for passage. See also, stories titled "House to Vote Again on STEM Visas Bill" in TLJ Daily E-Mail Alert No. 2,476, November 27, 2012, and story titled "House Rejects STEM Visas Bill in Suspension Vote" in TLJ Daily E-Mail Alert No. 2,452, September 20, 2012. The OMB statement makes the assertion that, notwithstanding the Obama administration's opposition to this STEM visas bill, "the Administration strongly supports legislation to attract and retain foreign students who graduate with advanced STEM degrees". The OMB statement asserts that President Obama wants "comprehensive immigration reform", which this bill is not. The Senate has not passed this bill, or a similar STEM visas bill. The OMB statement does not threaten a veto by President Obama. 11/28. There will be changes in the membership and leadership of House Judiciary Committee (HJC) in the 113th Congress, which begins in January of 2013. Rep. Howard Berman (D-CA) lost his seat in the November election. He had been placed in the same district as Rep. Brad Sherman (D-CA), who won re-election. Rep. Berman is a long time member of the House Judiciary Committee (HJC), and its intellectual property subcommittee. Rep. Berman (at left) received hearty and bipartisan praise and applause at an IP subcommittee hearing on November 28. Rep. Berman is a former Chairman of the IP subcommittee, and former ranking Democrat of this subcommittee. He has long been involved in legislative debates regarding intellectual property. He has especially advocated the interests of various participants in the movie and record sectors. House Republicans have not yet formally named committee chairmen for the 113th Congress. However, the current Chairman of the HJC, Rep. Lamar Smith (R-TX), has reached the term limitation imposed by House Republican rules. Moreover, the House Republican Steering Committee (HRSC) announced its recommendations for Chairmen for the 113th Congress on November 27. See, release. 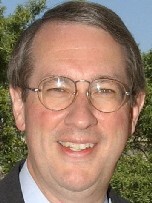 Rep. Bob Goodlatte (R-VA) (at right), who is currently Chairman of the HJC's Subcommittee on Intellectual Property, Competition and the Internet, has not yet been named full Committee Chairman. However, the HRSC recommended that he be the next Chairman. Moreover, at a Subcommittee hearing on November 28, other members identified him as the next full Committee Chairman. Several members of the HJC will not return with the 113th Congress. See, table titled "House Judiciary Committee 2012 Election Results" in TLJ Daily E-Mail Alert No. 2,471, November 7, 2012. Rep. Elton Gallegly (R-CA) retired. Rep. Mike Pence (R-IN) was elected Governor of Indiana. Rep. Dan Lungren (R-CA) lost in the general election. Rep. Sandy Adams (R-FL) lost in her primary election. Rep. Ben Quayle (R-AZ) lost in his primary. Rep. Berman is the only Democratic member of the HJC in the 112th Congress who will not be a member of the 113th Congress. Moreover, this turnover will particularly impact the Subcommittee on Intellectual Property, Competition, and the Internet. Rep. Berman, Rep. Pence, Rep. Adams, and Rep. Quayle are all current members. None of the HJC's most active opponents of the SOPA, PROTECT IP Act, and related proposals are departing the House. In addition, some HJC members will leave the Committee to receive assignments to other Committees. However, neither House Republicans nor House Democrats have announced departures, or new members. Rep. Debbie Schultz (D-FL) is a HJC member, who is on leave from the HJC while she chairs the Democratic National Committee (DNC). She won re-election to the House, and is a likely candidate for reassignment to another Committee. 11/28. Rep. Fred Upton (R-MI) announced House Commerce Committee (HCC) subcommittee chairmen and vice-chairmen for the 113th Congress. See, release. Rep. Greg Walden (R-OR) will again be Chairman of the Subcommittee on Communications and Technology (SCT). Rep. Bob Latta (R-OH) will be Vice Chairman. Rep. Lee Terry (R-NE) is currently the Vice Chairman. This subcommittee conducts oversight of the Federal Communications Commission (FCC), and holds hearings on, and markups of, proposed amendments to the Communications Act. Rep. Terry (at right) will become the Chairman of the Subcommittee on Commerce, Manufacturing, and Trade. He will replace Rep. Mary Mack (R-CA) who lost in the November general election. Rep. Leonard Lance (R-NJ) will be Vice Chairman. If there an effort to enact privacy legislation in the 113th Congress, this Subcommittee would conduct hearings and mark up legislation. This Subcommittee will also oversee the Federal Trade Commission's (FTC) privacy related actions. One of the criteria used by both Republican and Democratic party leaders in making House Committee assignments, and especially for the HCC, is the expected effect of such assignments on future election outcomes. Party leaders take some actions that are intended to maximize their number of seats in the House. Since the HCC has jurisdiction over subjects that affect the financial interests of many sectors of the US economy, an assignment to the HCC generally increases that member's aggregate receipt of campaign contributions. Thus, an assignment to the HCC is sometimes made, in part, to increase the re-election prospects of a member who does not represent a safe seat. Rep. Terry narrowly won re-election earlier this month. His appointment as Subcommittee Chairman will likely assure an even larger flow of campaign contributions from those who would be affected by privacy legislation. Rep. Tim Murphy (R-PA) will become Chairman of the Subcommittee on Oversight and Investigations. He will replace Rep. Cliff Stearns (R-FL) who lost in his Republican primary election. Rep. Michael Burgess (R-TX) will be Vice Chairman. Rep. Marsha Blackburn (R-TN), who is currently Vice Chairman of the Subcommittee on Commerce, Manufacturing, and Trade, will become Vice Chairman of the full Committee. She will replace Rep. Sue Myrick (R-NC), who is retiring. In addition, Rep. Charlie Bass (R-NH) lost in the general election, Rep. John Sullivan (R-OK) lost in the primary election, and Rep. Brian Bilbray (R-CA) lost in the general election. Rep. Ed Towns (D-NY) is retiring. Rep. Charles Gonzalez (R-TX) is retiring, Rep. Tammy Baldwin (D-WI) was elected to the Senate, and Rep. Mike Ross (D-AR) is retiring. Three outgoing Republicans -- Rep. Mack, Rep. Bass, and Rep. Bilbray -- and one outgoing Democrat -- Rep. Ed Towns -- hold seats on the SCT. Neither party has announced new assignments to the HCC and its Subcommittees. 11/28. The House Republican Conference selected Rep. Dave Camp (R-MI) to be Chairman of the House Ways and Means Committee (HWMC) again in the 113th Congress. See, HWMC release. 11/28. The Department of Commerce's (DOC) Bureau of Industry and Security (BIS) published a notice in the Federal Register (FR) that announces, and requests comments on, proposed removals from the Commerce Control List of certain Category XI items, which pertain to military electronics, and which include telecommunications equipment and software. The deadline to submit comments is January 28, 2012. See, FR, Vol. 77, No. 229, November 28, 2012, at Pages 70945-70955. 11/27. Federal Communications Commission (FCC) adopted a Notice of Proposed Rulemaking (NPRM) [42 pages in PDF] regarding disability access to televised emergency information on November 16, 2012. The purpose of this NPRM is to implement Sections 202 and 203 of S 3828 [LOC | WW], the "Twenty-First Century Communications and Video Accessibility Act of 2010", which is also known as the CVAA. S 3828 incorporates the text of S 3304 [LOC | WW], wherein Section 202 and 203 are found. Title II of the CVAA pertains to "Video Programming". Section 202 provides, among other things, that the FCC shall conduct a proceeding to "identify methods to convey emergency information ... in a manner accessible to individuals who are blind or visually impaired", and "promulgate regulations that require video programming providers and video programming distributors ... and program owners to convey such emergency information in a manner accessible to individuals who are blind or visually impaired". This NPRM is FCC 12-142 in MB Docket No. 12-107. The FCC adopted it on November 16, and released the text on November 19. The deadline to submit initial comments is December 18. The deadline to submit reply comments is December 28. See, notice in the Federal Register, Vol. 77, No. 229, November 28, 2012, at Pages 70970-70987, setting comment deadlines. 11/27. Sen. Patrick Leahy (D-VT) and Sen. Herb Kohl (D-WI) introduced S 3642 [LOC | WW], the "Theft of Trade Secrets Clarification Act of 2012", on November 27, 2012. The Senate passed this bill, by unanimous consent, without debate, late on the same day. The House has not yet passed this bill. This is a short amendment to the Economic Espionage Act, which is codified at 18 U.S.C. § 1832, and which criminalizes theft of trade secrets. This bill is a response to the April 11, 2012 opinion of the U.S. Court of Appeals (2ndCir) in U.S. v. Aleynikov, App. Ct. No. 11-1126, an appeal from the U.S. District Court (SDNY). Sergey Aleynikov was convicted in the District Court of violation of Section 1832 in connection with his theft of proprietary computer source code for a financial trading system. He appealed to the Court of Appeals, which reversed. Section 1832 refers to theft of a trade secret that is "included in a product" that is placed in interstate commerce. The Court of Appeals reasoned that Aleynikov did not violate the statute because source code is not a product, and the owner (Goldman Sachs) did not place the source code in interstate commerce. This bill clarifies that the prohibition applies to theft of a trade secret "related to a product or service", and that offering the service in interstate commerce suffices. Sen. Leahy spoke in support of the bill. See, Congressional Record, November 27, 2012, at Page S6978. He said that "The court held that the Economic Espionage Act provision applies only to trade secrets that are part of a product that is produced to be placed in interstate commerce. Because the company's proprietary software was neither placed in interstate commerce, nor produced to be placed in interstate commerce, the law did not apply -- even though the stolen source code was part of a financial trading system that was used in interstate commerce every day. The clarifying legislation that the Senate will pass today corrects the court's narrow reading ..."
Section 1832(a) of title 18, United States Code, is amended in the matter preceding paragraph (1), by striking `or included in a product that is produced for or placed in' and inserting `a product or service used in or intended for use in'. See also, "More Tech Crimes" in TLJ Daily E-Mail Alert No. 2,048, February 22, 2010, and "Tech Crime Report" in TLJ Daily E-Mail Alert No. 2,211, March 29, 2011. 11/27. The House Republican Steering Committee (HRSC) announced its recommendation that Rep. Fred Upton (R-MI) remain Chairman of the House Commerce Committee (HCC) in 113th Congress. See, release. 11/27. The House Republican Steering Committee (HRSC) announced its recommendation that Rep. Jeb Hensarling (R-TX) become the Chairman of the House Financial Services Committee in the 113th Congress. See, release. 11/27. The House Republican Steering Committee (HRSC) announced its recommendation that Rep. Mike Rogers (R-MI) remain the Chairman of the House Intelligence Committee (HIC) in the 113th Congress. See, release. The HIC has oversight and legislative jurisdiction in the areas of electronic surveillance and cyber security. Rep. Rogers is the sponsor of HR 3523 [LOC | WW], the "Cyber Intelligence Sharing and Protection Act" or "CISPA", the bill passed by the House in April. 11/27. The House Republican Steering Committee (HRSC) announced its recommendation that Rep. Pete Sessions (R-TX) become the Chairman of the House Rules Committee in the 113th Congress. See, release. The outgoing Chairman, Rep. David Dreier (R-CA), is retiring. 11/27. The House Republican Steering Committee (HRSC) announced its recommendation that Rep. Dave Camp (R-TX) remain the Chairman of the House Ways and Means Committee (HWMC) in the 113th Congress. See, release. The HWMC has jurisdiction over technology related tax issues, including the research and development tax credit. 11/27. President Obama nominated Nitza Alejandro to be a Judge of the U.S. District Court (EDPenn). See, White House news office release. She has been a state court judge since 1991. 11/27. President Obama nominated Luis Restrepo to be a Judge of the U.S. District Court (EDPenn). See, White House news office release. He has been as U.S. Magistrate Judge since 2006. 11/27. President Obama nominated Jeffrey Schmehl to be a Judge of the U.S. District Court (EDPenn). See, White House news office release. He has been a state court judge since 2008. 11/27. Hewlett Packard issued a statement regarding its acquisition of Autonomy. It wrote that "HP has initiated an intense internal investigation into a series of accounting improprieties, disclosure failures and outright misrepresentations that occurred prior to HP’s acquisition of Autonomy. We believe we have uncovered extensive evidence of a willful effort on behalf of certain former Autonomy employees to inflate the underlying financial metrics of the company in order to mislead investors and potential buyers. The matter is in the hands of the authorities, including the UK Serious Fraud Office, the US Securities and Exchange Commission’s Enforcement Division and the US Department of Justice, and we will defer to them as to how they wish to engage with Dr. Lynch. In addition, HP will take legal action against the parties involved at the appropriate time." See also, November 20 HP statement. 11/26. The U.S. Patent and Trademark Office (USPTO) announced that it will host roundtable to address the possibility of changing its rules of practice to require the disclosure of real party in interest information during patent prosecution and at certain times post-issuance. This event will be held from 8:30 AM to 12:00 NOON on Friday, January 11, 2013. It will be held in the USPTO's Madison Auditorium, at 600 Dulany Street, Alexandria, VA. See, notice in the Federal Register (FR), Vol. 77, No. 227, November 26, 2012, at Pages 70385-70389. This event is open to the public. The deadline to submit requests to participate is Friday, December 21, 2012. The deadline to submit written comments is January 25, 2013. The USPTO wrote in its FR notice that "It is increasingly clear that the completeness of the patent record, including the ownership of patent applications and patents, plays an essential role in the efficient functioning of innovation markets. Since intangible assets now make up over fifty percent of the value of business outputs of U.S. industry, intellectual property rights are one key mechanism by which such intangibles can be exchanged, providing profits for innovators and moving technologies to their most efficient uses in the economy." "To avoid business and legal risk, the clearing of intellectual property rights is often undertaken by manufacturers or distributors prior to production and marketing. In such cases, the clearance of intellectual property rights is often made more difficult and time-consuming, legally risky, and expensive because current ownership information on patent applications and issued patents is not available. An incomplete ownership record thus presents a significant barrier to competition and market efficiency. Markets operate most efficiently when buyers and sellers can find one another. Yet in our current system, fragmented ownership in the patent rights covering complex products leads to potential buyers facing difficulty finding sellers, and to potential innovators not understanding the nature of the marketplace they are considering entering." The FR notice states that "the USPTO is interested in providing more complete patent ownership information to the public", and that this information would also be helpful to the USPTO. 11/26. Sen. Richard Blumenthal (D-CT) introduced S 3636 [LOC | WW], the "Gift Card Consumer Protection Act of 2012". This bill would amend the Electronic Fund Transfer Act (EFTA), which is codified at 15 U.S.C. §§ 1693-1693r, to provide that "It shall be unlawful for any person to impose a dormancy fee, an inactivity charge or fee, or a service fee with respect to a gift certificate, store gift card, or general-use prepaid card." This bill would also amend the EFTA and the Bankruptcy Code to provide increased consumer protections in the context of gift cards. Sen. Blumenthal (at right) stated in the Senate that "By one estimate, Americans spent over $100 billion on gift cards in the 2011 holiday shopping season, and that nearly $2 billion of that value went unused. Today I am introducing legislation to help substantially remedy that problem and to ensure that consumers receive the full value that is stored on their gift cards." See, Congressional Record, November 26, 2012, at Page S6895. He added that "Whether it is a bankrupt company that refuses to honor a gift certificate, a gift card with hidden fees that slowly withers down to nothing, or a ``promotional´´ gift card that expires in the virtual blink of an eye, consumers in Connecticut and across the nation are in danger of seeing the value of their gift cards disappear. The Gift Card Consumer Protection Act will stop these abusive practices." He noted that "many in the industry already follow these practices. Best Buy, for instance, doesn't charge fees on their gift cards and they do not expire. When you get a bonus card for a purchase, that card doesn't expire or carry fees, either. The same is true for Barnes and Noble, and others." This bill was referred to the Senate Banking Committee (SBC). Sen. Blumenthal is not a member. 11/26. Sen. Charles Grassley (R-IA), the ranking Republican on the Senate Judiciary Committee (SJC), sent a letter to Attorney General (AG) Eric Holder explaining why he is delaying the confirmation of Tony West to be Associate Attorney General, the number three position at the Department of Justice (DOJ). West (at right) is currently the nominal Assistant AG in charge of the DOJ's Civil Division. However, he has been the acting Associate AG since March. President Obama formally nominated West to be Associate AG in September. See also, stories titled "Tony West Named Acting Associate Attorney General" in TLJ Daily E-Mail Alert No. 2,348, March 7, 2012, and "Obama Nominates Tony West to be Associate Attorney General" in TLJ Daily E-Mail Alert No. 2,454, September 22, 2012. Sen. Grassley wrote that the DOJ has refused to produce documents requested by Sen. Grassley, and by House Republicans, regarding a "quid pro quo" agreement between the DOJ and the city of St. Paul, Minnesota that involved West. Sen. Grassley (at left) wrote that the DOJ has withheld documents relevant to "our investigation into the quid pro quo deal where the Department agreed to drop two False Claims Act cases against the City of St. Paul, Minnesota in exchange for the City dropping its pending appeal before the Supreme Court in Magner v. Gallagher." Sen. Grassley elaborated that "It is unfortunate that Mr. West's nomination could be delayed by this request, but it is necessary because you have denied my staff access to documents essential to ensure adequate and appropriate Congressional oversight of the Executive Branch as part of the executive nominations process. Specifically, I have been informed that the Department refused my staff access to the documents ... because there was not a request from the Chairman of the Committee. However, no such request is required by any law, rule, regulation, or judicial precedent. The Department's decision to deny the opportunity for my staff to review these documents is misplaced and threatens to delay the review of Mr. West’s nomination." It should also be noted that the while the SJC approved the nomination of William Baer in September to be Assistant AG in charge of the DOJ's Antitrust Division, the full Senate has not confirmed him. The Antitrust Division has not had a confirmed Assistant AG since Christine Varney left in the summer of 2011. Renata Hesse (at right) is the acting Assistant AG. Hesse worked at the law firm of Wilson Sonsini before moving to the DOJ in 2011. Baer now works at the law firm of Arnold & Porter. 11/26. The House Republican leadership announced that the House will again vote on HR 6429 [LOC | WW | PDF], the "STEM Jobs Act of 2012". See, Rep. Cantor's schedule for the week. The House Rules Committee (HRC) will meet on Wednesday, November 28 at 3:00 PM to adopt a rule for consideration of this bill. See, notice. The House may then consider this bill on Thursday or Friday. The House rejected a very similar version of the bill on September 20, 2012. See, story titled "House Rejects STEM Visas Bill in Suspension Vote" in TLJ Daily E-Mail Alert No. 2,452, September 20, 2012. The vote was 237-180. Republicans voted 227-5. Democrats voted 30-153. See, Roll Call No. 590. The House considered that bill under suspension of the rules, which meant that a two thirds majority was required for passage. That bill won a simple majority, but not a two thirds majority, and hence, failed to pass. The just announced vote will be subject to a rule that requires only a simple majority. This bill, a modified version of the bill rejected on September 20, would create a new program that would provide up to 55,000 visas per year to aliens with Ph.D.s, and then Masters degrees, in math, science, engineering or technology (STEM) fields. It would also eliminate a comparably sized diversity lottery visa program which is supported by many Democrats. See also, stories titled "House to Consider STEM Visa Bill" and "Rep. Lofgren Introduces Alternative STEM Visa Bill" in TLJ Daily E-Mail Alert No. 2,448, September 14, 2012, and "STEM Visa Bills Update" in TLJ Daily E-Mail Alert No. 2,451, September 19, 2012. 11/26. David Kappos, head of the U.S. Patent and Trademark Office (USPTO), announced in an email to USPTO employees that he will leave the USPTO in January. President Obama has not yet nominated or announced the next USPTO head. Teresa Rae is the Deputy Director. Kappos (at left) presided at the USPTO when the House, Senate and Obama administration completed negotiations over the language of patent reform legislation. HR 1249 [LOC | WW], the "Leahy-Smith America Invents Act", was signed into law in September of 2011. He then presided over implementation of the Act, including numerous rule making proceedings required by the Act. Before his appointment to the USPTO in 2009, Kappos worked at IBM for 25 years. Rea (at right) joined the USPTO in 2011. Before that, she practiced law at the firm of Crowell & Moring. Her background is in biotech and pharmaceuticals. Kappos is a rarity among senior government officials. He will leave office without any major outstanding allegations of exceeding statutory authority, disregarding statutory mandates, wasting taxpayers' money, mismanagement, or partisan favoritism. 11/26. The Securities and Exchange Commission (SEC) announced in a release that Mary Schapiro, Chairman of the SEC since 2009, will "step down" on December 14, 2012. The White House news office announced in a release that President Obama "intends to designate" Elisse Walter, who is currently another SEC Commissioner, as Chairman when Schapiro departs. Walter (at right) is a lawyer and career regulator. 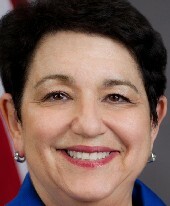 Former President Bush appointed her to the five member SEC in 2008 for one of the Democratic positions. Before that, she worked for the Financial Industry Regulatory Authority, aka FINRA, and its predecessor, the National Association of Securities Dealers (NASD). Before that, starting in 1994, she worked at the Commodity Futures Trading Commission (CFTC). And before that, starting in 1977, she worked at the SEC. 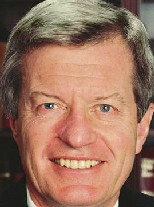 Walter was briefly Chairman of the SEC during the transition from the Bush administration to the Obama administration. Go to News from November 21-25, 2012.